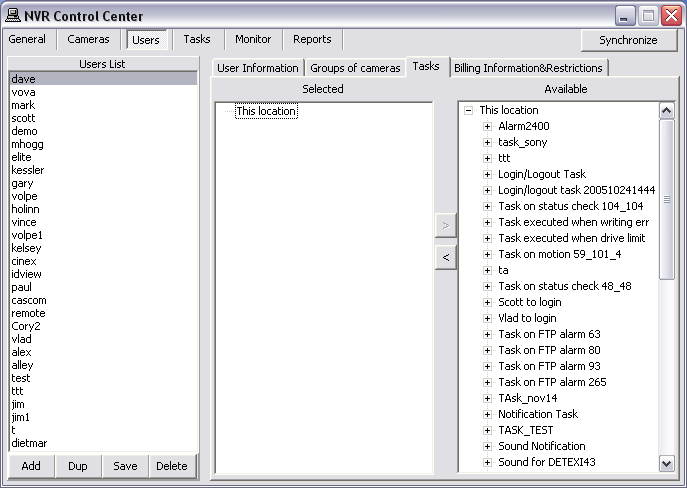 User Triggered Task — task execution can be added to a user’s permissions, by assigning users the specific tasks they are allowed to trigger manually from the Remote DETEXI Client. Select a user from the Users list and switch to Tasks. Select a task of interest in the Available list and press the direction button to move the selected task to the Selected list. Add more tasks to the Selected list if necessary. Press Save button under the Users list to save changes. Tasks configured with alarm-specific information should not be triggered as no alarm-specific information will be available. 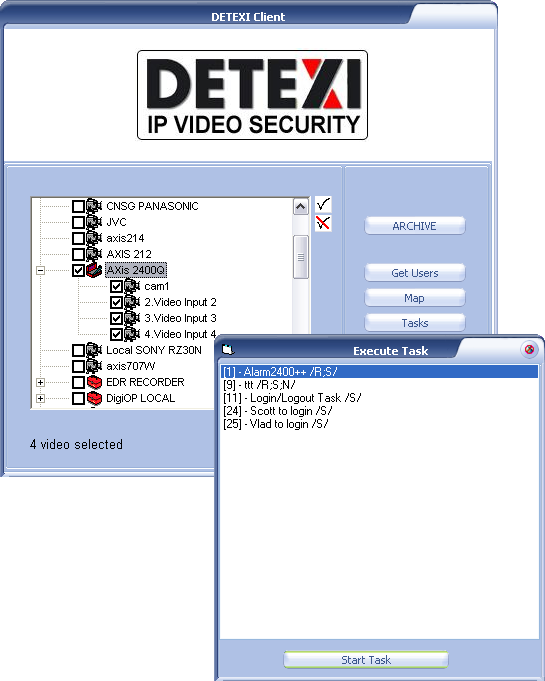 Login to the remote DETEXI Client. On the Client Start Page press the Tasks button to launch Execute Task panel with the tasks available upon the user logged in permissions.